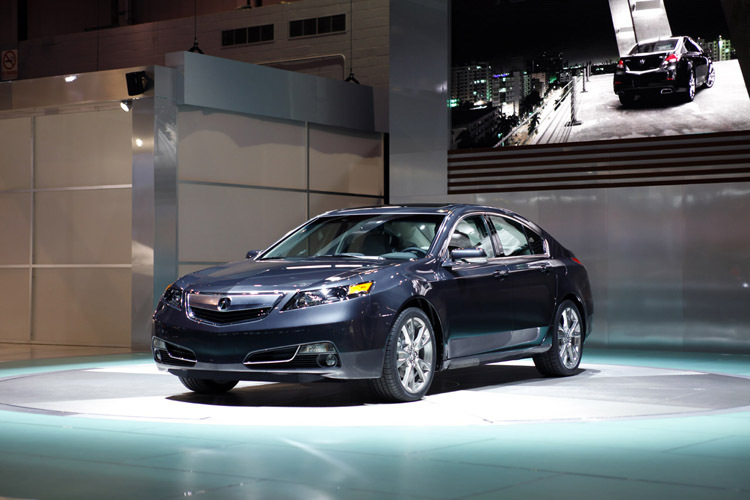 I think the 2012 Acura TL is one good lookin’ car but then, I’ve had a lot of time to think about it since my window at Butler Auto looks directly onto a smokin’ black model we recently took delivery of. After a complete redesign in 2009, Honda saw sales of the entry-level luxury sedan slide amidst criticism of the car’s “bold” design. The Columbus Dispatch quotes Jeff Conrad, Vice President of Acura Sales, as saying, “Its aggressive styling may have been a bit too bold for the evolving auto market.” So, the tweaking began. The 2012 model has softer lines and a less “beak-like” grille, not to mention increased fuel economy (up from 26 to 29 mph on the highway). Visit Acura’s photo gallery at http://www.acura.com/modellanding.aspx?model=tl ) or come see us at our Ashland showroom (be sure to say hi!) – and let us know what you think.